Shared Shuttles, Private Transfers, Car Rentals and more!! Select the transportation option in Panama that best suits your travel style. Imagine island hopping to a different island every day of the year through 20 different shades of crystal clear turquoise blue Caribbean dotted with white sandy beaches, rustic cabins and coconut palms...ahhhhh right! Welcome to the San Blas Islands Panama! No need to imagine when you can experience the magic of the Kuna Yala for yourself on one of our San Blas One Day tours or multi-day excursions in Panama! What makes the San Blas Islands so unique? Visiting the San Blas Islands is like no other experience in Panama. In the 1800's the Kuna Yala (Now Guna Yala) made their way from the dense jungle of the Darien Gap between Panama and Colombia to the San Blas Islands looking for a better way to trade and sustain their culture. After the revolution of 1925, they are their own autonomous nation and their strict controls over the islands preventing over-fishing have kept the San Blas Islands a unique gem in Panama if not the world. No scuba diving but AMAZING snorkeling and marine life remain thanks to their strict laws and commitment to their environment. Join one of our San Blas Islands One Day tours to get a taste of the beauty of the Islands and its people inhabiting it, or stay a night or two and really immerse yourself in a multi-day excursion in Guna Yala culture. The choice is yours! Seeing as this is a remote location, do not expect 5 star resorts and all the amenities of Panama City, but at The Real Deal Tours you can count on us to find the best tours in San Blas so you get the best experience possible. 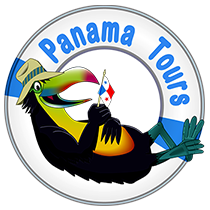 Take a look at our selection of San Blas Tours in Panama and book knowing you will have the best possible experience in Panama.